Check out our Wishlist on Amazon. It’s easy – just order and they’ll deliver right to our door! Click here. We would like to be able to properly thank you for items ordered via Amazon. In order for us to know who the items came from you will need to check “This is a gift” for each item in your cart. Then when checking out you will have the option to enter a gift message. Please enter your name and either email address or mailing address here so we can send you a “Thank You” and provide a receipt for tax purposes. Not comfortable ordering from Amazon or don’t see anything that interests you? 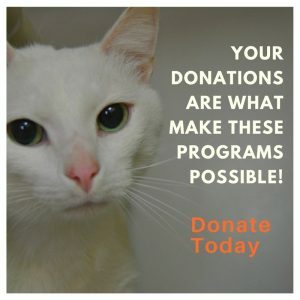 Below are more options to help the shelter. Items in red are our highest needs.